Helen ONeills research encompasses immunology and stem cell biology. 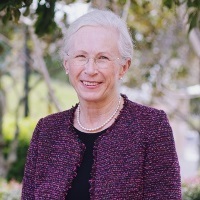 Helen completed a Bachelor of Science degree with Honours in Genetics at Adelaide University, then worked in medical research at Stanford University, California, before completing her PhD in 1981 in the John Curtin School of Medical Research (JCSMR) at the Australian National University (ANU). She was then appointed as a Research Fellow in JCSMR, became a Fellow in 1989, and took two periods of leave to undertake overseas fellowships. Between 1983 and 1985 she held an NHMRC CJ Martin Fellowship at Stanford University under Irv Weissman. Between 1987 and 1988, she was a Fellow of the International Union against Cancer working in the Tumor Biology Laboratories at Stanford University. In 1996 she took a research/teaching position in the School of Biochemistry and Molecular Biology at ANU. She later became Professor and Head of the Stem Cell and Immunology Lab in the ANU Research School of Biology. In 2015, Helen moved to the Faculty of Health Sciences and Medicine at Bond University to pursue research on hematopoietic and mesenchymal stem cells, and their application in regenerative medicine. She holds an Emeritus Professorship at ANU.